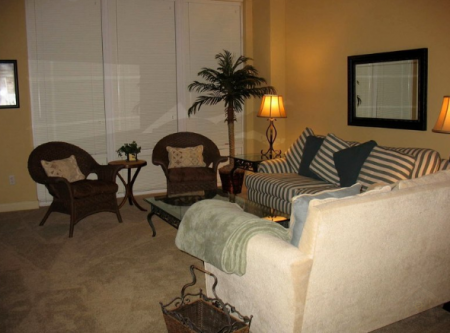 Welcome to the website we have created for our three bedroom condos in Gulfport, Mississippi. It is located in the Sienna on the Coast community on the third floor, and it has perfect, unobstructed views of the pool and Gulf. Use this site to see photos of our "home away from home" and also find information about area attractions, restaurants and nightlife. Sienna is a new construction, condominium complex, just completed in May of 2007. 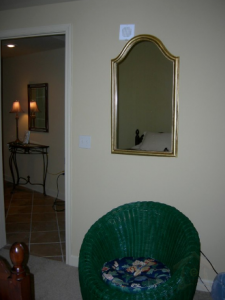 It is located in the heart of Gulport's coastline on Beach Drive, and is currently the only condominium in this area for 4.5 miles to the West and 3.0 miles to the East. 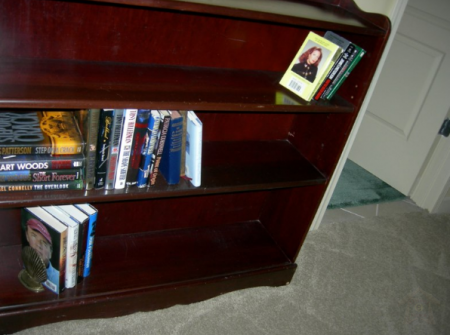 This vacation rental condo was just furnished for rental in October of 2008. Spacious interior with excellent amenities including granite countertops and stainless steel appliances in the chef ready kitchen. There is also a walk-in pantry and a built in wet bar with any type of glassware you might need for mixing the perfect drink. 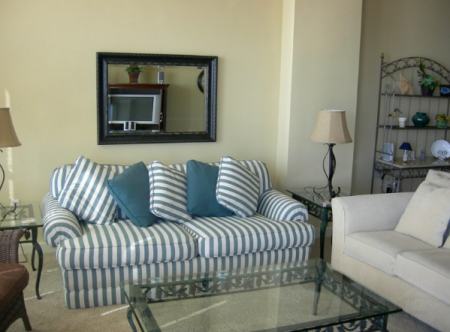 Beach style furnishings are comfortable and inviting. 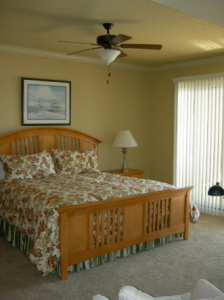 Great views of the Gulf of Mexico from the balcony, that has access from the living room and master bedroom. 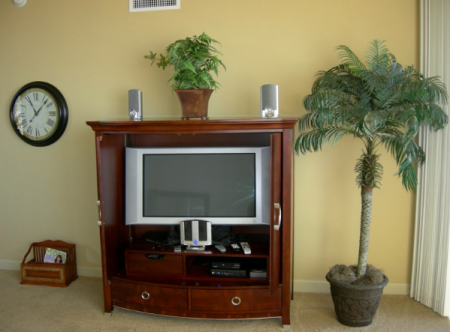 The entertainment center contains a 32" LCD TV with DVD player. 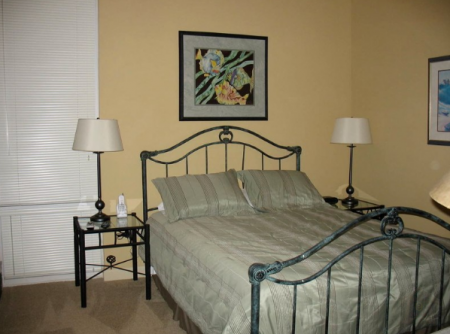 The master bedroom has a spacious king size bed and well appointed bath. 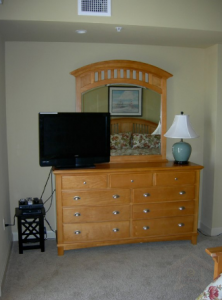 This bedroom also has a 32" LCD TV with DVD player. 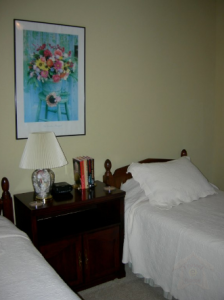 The second bedroom boasts a queen size bed and private bath. It also has a 27" TV with DVD player and a west-facing floor to ceiling window. 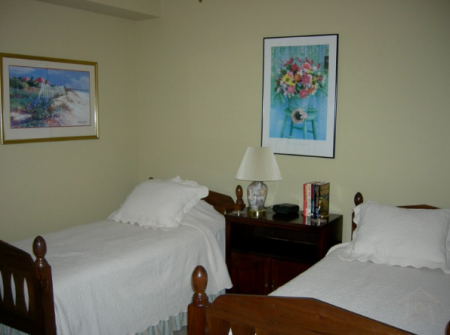 The third bedroom contains two twin beds, an adjacent bath accessible from the bedroom and hallway and a 27" TV. The pull out sofa in the main living area is a queen size bed as well. 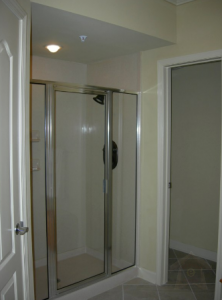 The unit can accommodate up to 8 guests comfortably. All linens are provided. The dining area seats six comfortably with two extra chairs, so a total of eight can be accommodated at the table. The bar has seating for an additional three. 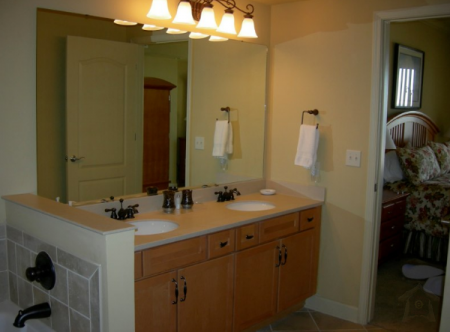 A full size washer and dryer are located in the huge utility room for your use and convenience. Satellite TV is available in every room. Internet is provided via broadband ethernet connection and/or secure wireless router. (WEP key provided for all guests).